Doctor Tang graduated from Beijing University of Traditional Chinese Medicine (TCM) with a Bachelor degree of Medicine in TCM in 1982. He has then worked and practiced in China Academy of Chinese Medical Sciences including the Institute of Chinese Herbal Medicine and Acupuncture in Beijing for 10 years, before he came to the UK to practice and research TCM including researching TCM in the field of immunology, acupressure in cancer, lecturing TCM in Manchester University, Manchester Metropolitan University and being a member of the research committee at The Christie Hospital. 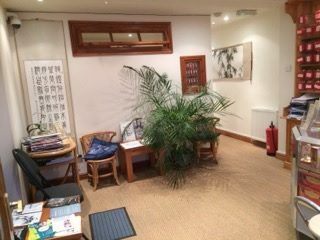 He has two very successful TCM clinics, Beijing Clinic and Beijing TCM Clinic and a team of TCM doctors in Manchester with an excellent reputation and receiving referrals from local GPs and Midwifes. He has always practiced TCM Acupuncture and Herbal Medicine with patients from his heart. With Over 30 year’s practice, research and teaching in TCM, he has obtained extensive knowledge, skills and clinical experience in successfully treating a wide range of health problems including: Female and Male Infertility; Skin Disorders; Muscular-Skeletal & Neurological problems; pain management; Hay Fever, Sinuses, Addictions, Menopause, Asthma, IBS, Indigestion, Migraine, `Stress, Insomnia, Depression, Fatigue, as well as facilitating labor and supporting cancer treatment. Beijing Clinics has been established over 16 years. The clinics offer Traditional Chinese Medicine Treatments including Acupuncture, Chinese Herbal Medicine, Cupping, TuiNa or Acupressure massage, Reflexology and many more. The Clinics have gained very good reputation. All practitioners are well trained in both Traditional Chinese and Western Medicine from the leading universities in China or the UK. They have many years of clinical experience in treating a wide range of health problems. Please contact the clinics for more details.